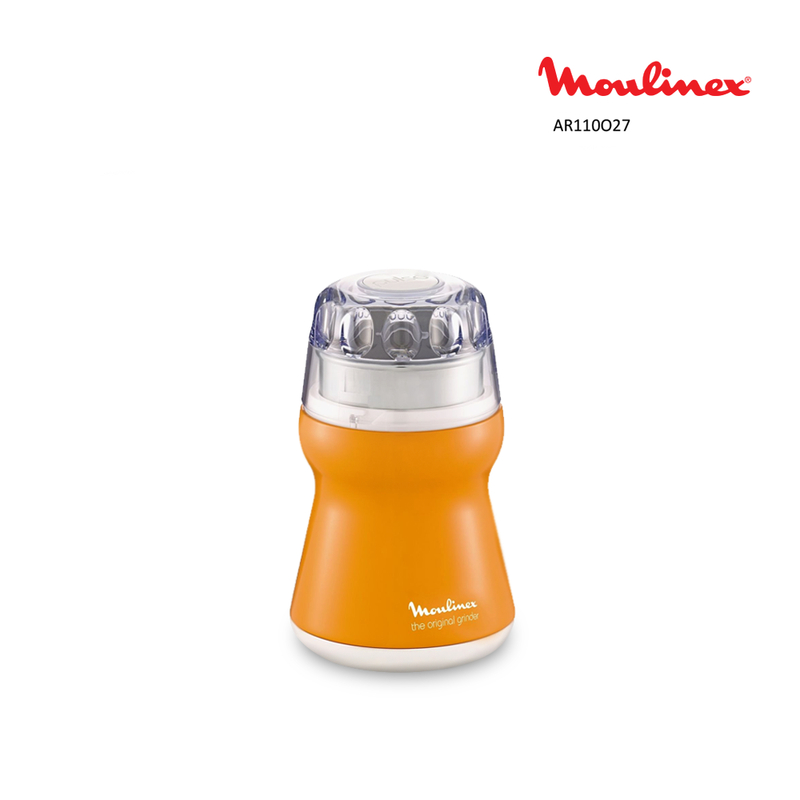 Small yet powerful, the Moulinex AR110O27 coffee grinder is apt for household purposes. Its has a compact design and can be easily stored away when not in use. Also, this grinder is equipped with a double safety system that keeps the appliance to prevent accidents. Thanks to the storage section, the power cord can be folded in so that it does not tangle with other appliances. This 180W electric grinder can grind has a capacity of 9 cups.